United Methodists Respond to Deadly Tornadoes Throughout the U.S.
After a series of deadly tornadoes tore through seven Southern and Midwest states this week, The United Methodist Committee on Relief (UMCOR) in contact with the United Methodist annual conferences affected by the series of deadly tornadoes that swept through seven Southern and Midwestern states this week. They are working with the conferences to ascertain local needs and the best next steps for each area. According to the Federal Emergency Management Agency (FEMA), at least 19 people died in the storms, 16 of them in Arkansas; some 53,000 people remained without electrical power; and seven shelters had been opened in Arkansas and one in Oklahoma to attend to people displaced by the tornadoes. The hardest hit towns were Mayflower (pop. : 2,300) and Vilonia (pop. : 3,800) in Arkansas, where a total of 10 of the deaths occurred, and Quapaw (pop. 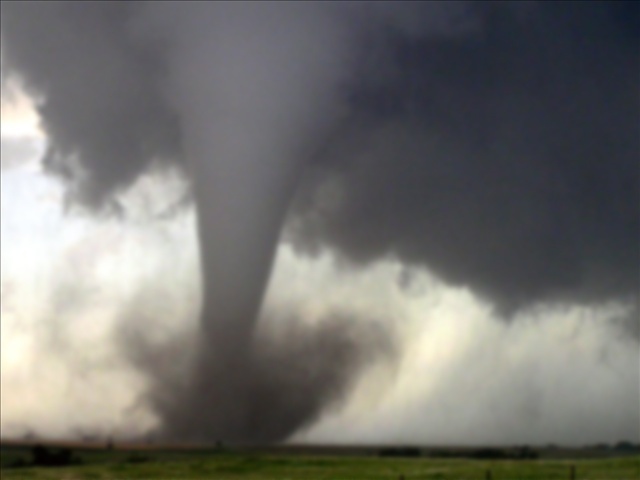 : 900) in Oklahoma, where two more people died and, according to FEMA, about a dozen homes were destroyed. In a United Methodist News Service (UMNS) article, reporter Sam Hodges writes that as of yesterday (April 29), rescue workers were still searching for survivors in Vilonia, where many homes and buildings were destroyed, including a $14 million public school set to open this fall. According to Sam, Vilonia United Methodist Church, northeast of Little Rock, suffered massive damage to its buildings with the nearby town of Mayflower also suffering severe damage, though the Mayflower United Methodist Church largely escaped largely undamaged. “We’ve got some shingles missing off the roof, but the building is intact,” said the Rev. Rick Wilkins, pastor. Wilkins said some church members had their businesses destroyed, and others had their homes damaged. He’s aware of no fatalities or injuries among the congregation, but stressed that he doesn’t yet have a complete picture. How the people of the CTC can help. The Central Texas Conference Service Center (CTCSC) has already heard from churches and people all across the conference asking how to help. According to UMCOR, the best thing to do while assessments proceed is to continue prayers for survivors and the efforts of first-responders. Anyone wishing to make financial donations to the relief efforts can do so via the U.S. Disaster Response, Advance #901670. “You can help UMCOR respond to this powerful event by keeping all those affected in your prayers; by giving to UMCOR U.S. Disaster Response; and by working with your church community to provide UMCOR relief supplies, especially health kits,” Greg Forrester said. 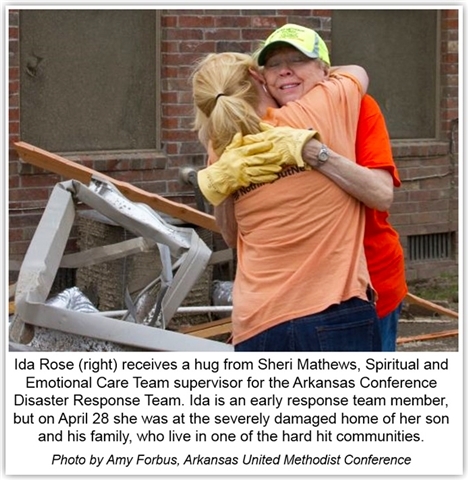 UMCOR is quick to remind those called to volunteer in the affected areas to not self-deploy to the affected areas. Rather, you should look for instructions from the CTC United Methodist Volunteers in Mission (UMVIM) leadership as to when conditions are stable enough and the conferences are ready to receive on-the-ground assistance.